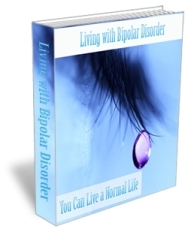 Bipolar disorder is a mood disorder that is characterized by extreme changes in mood, behavior and thinking patterns. The patients suffer from extremes of emotions that range from high to low. They may be hyperactive at one moment and lapse into depression at another time. Bipolar disorder in children cannot be identified the same way as with adults. The manic phase is marked by hyperactivity while the depressive phase results in low energy, excessive grief or sadness, loneliness etc. Though it was previously believed to affect only older adults, studies and researches have revealed that bipolar disorder in children is not uncommon. However, it is almost a challenge for psychiatrists and doctors to differentiate children suffering from hyperactivity and bipolar disorder due to the similarities in the symptoms. But early detection and diagnosis is essential for proper treatment to ensure a healthy life for the child. The early onset of the disorder may be noticed in children diagnosed with depression or attention-deficit-disorder with hyperactivity. The symptoms of bipolar disorder in children are different from that in adults. While adults may experience alternative periods of mania and depression, children are likely to exhibit a mixture of emotions at the same time. Regular intervals of mood disturbances become common. Chronic irritability is noticed in bipolar disorder in children and in between disturbed moods, phases of wellness can also be noticed. These are some of the behavioral changes that can be seen in children with the disorder. Although the DSM-IV criteria is used for diagnosis of bipolar disorder in children, it cannot be taken as a standard criteria. Various requirements of the criteria cannot be fulfilled in children as the mood swings occur several times in a day and unlike in adults, there is no clear distinction between the manic and depressive phases. Lithium, anticonvulsants and atypical neuroleptics are the 3 main types of medication used for treatment of bipolar disorder in children. But side effects like excessive weight gain or development of other diseases such as tardive dyskinesia, polycystic ovarian syndrome etc. can take place. Therefore, children should be well monitored when they are on medication. With age the disorder takes on serious dimensions and correct treatment at an early stage becomes necessary to prevent such phases of mania or depression later in adult life. Bipolar is often related with increased tendency of suicide among children.